In 2015, the federal government spent nearly half of a trillion dollars on contracts with private companies—$436,668,103,830, to be exact. Members of the public are free to drill down into this data and track funding going to specific businesses, thanks to a series of policies designed to increase government transparency and accountability by treating information about government spending as open data—machine readable, timely and freely available online. However, federal contracting policy requires the use of a specific proprietary data standard to keep track of entities receiving federal funds. Known as the Data Universal Numbering System, or DUNS, the current standard was developed by business information reporting company Dun & Bradstreet. And therein lies a problem: Not only is the use of a proprietary standard antithetical to the principle of an open and transparent government, as it limits the usability and accessibility of the data, but the government has already recognized that requiring the use of DUNS grants Dun & Bradstreet a monopoly on data that uses DUNS numbers, reducing competition and increasing costs. Fortunately, the General Services Administration, the Defense Department and NASA have recently proposed to amend federal contracting policy to eliminate the requirement to use DUNS, which would make data on government spending more transparent and usable by the government and the public alike. Federal agencies keep track of companies they do business with through the use of unique identifiers—strings of characters assigned to specific entities, not unlike a Social Security number—to ensure they can easily and accurately report and track spending. For years, the Federal Acquisition Regulation has required agencies to specifically use DUNS numbers as unique identifiers despite the fact that nonproprietary identifiers exist that could fulfill the same requirement just as effectively. Every business that contracts with the federal government must have a DUNS number, and the federal government pays Dun & Bradstreet for a license to use this data. The exclusive use of DUNS numbers is problematic because it limits how the federal government can use its own data. Should the federal government decide to not renews its license to use DUNS numbers, much of its own data would be unusable and lost as a public resource. This is exactly what happened in September 2014, when the Recovery Accountability and Transparency Board decided not to pay up to $1.4 million to renew its contract with Dun & Bradstreet to use DUNS numbers to track $800 billion federal stimulus spending. When the contract expired Sept. 30, the government, and thus the public, could no longer use this data. Problems such as this are the very reason federal open data policy requires that government data use nonproprietary formats—when data is in nonproprietary formats, multiple companies could develop tools to use the data. So when a contract expires, businesses can compete to offer the most cost-effective solutions and the government is not beholden to any one company to use its own data. Eliminating the DUNS requirement in the FAR would finally make rules about federal spending data conform with this open data policy. However, it will take some time before the government can fully abandon the use of proprietary identifiers. 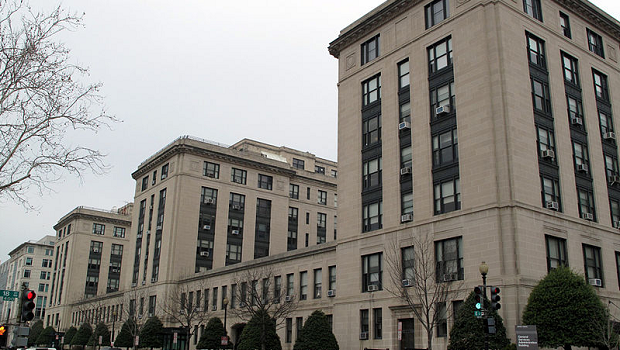 As of June 2015, the government relied on approximately 380,000 DUNS numbers to track its contracts, and implementing a new and cost-effective system will not happen overnight—the Office of Management and Budget and the Treasury Department will establish a transparent review process to analyze potential alternative systems, and they expect to complete their review in 2017. But by removing the DUNS requirement, the government is taking a critical step toward making its spending data more open and accessible. This article originally appeared in Nextgov.